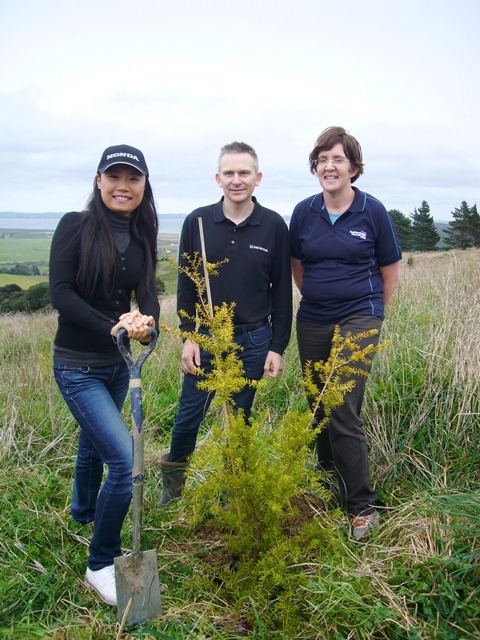 Since 2004, Honda New Zealand has sponsored the Honda Tree Fund, an environmental programme to support reforestation. 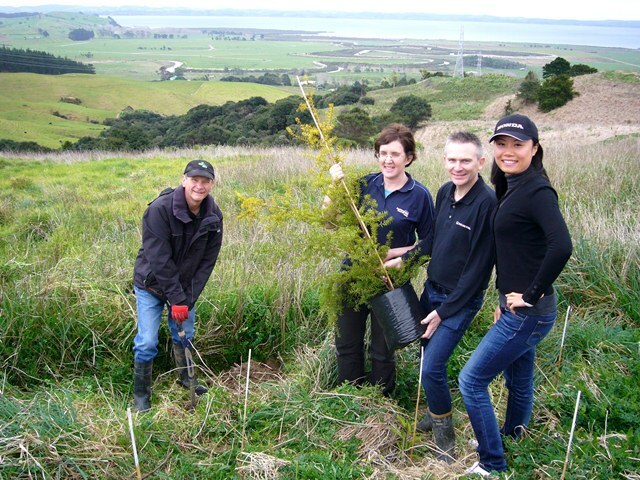 Honda New Zealand contributes trees for every Honda car sold and CUE Haven has been a beneficiary of the program through the Auckland Council’s Environmental Initiatives Fund. 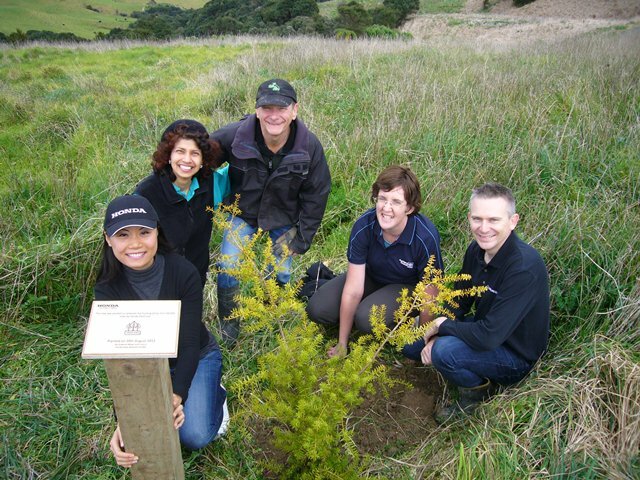 This month, the Tree Fund is celebrating a major milestone—sponsoring its 500,000th tree and CUE Haven is honoured to have been selected as the site for a tree to commemorate this event. 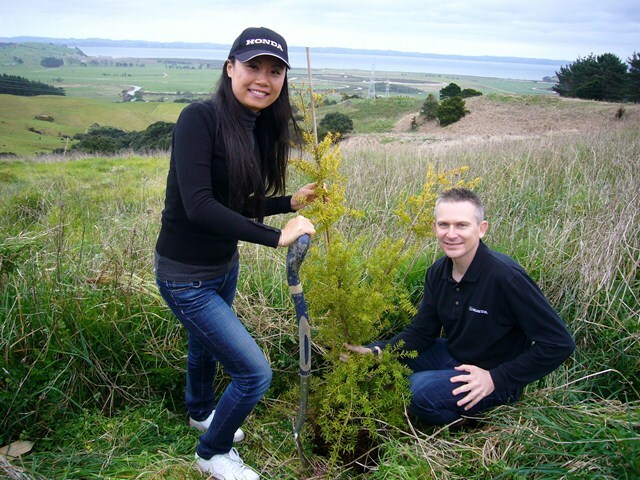 The tree was planted by Graeme Meyer and Lucy Li of Honda New Zealand with the assistance of Fran Hayton, Auckland Council’s Environmental Funding and Contract Advisor. 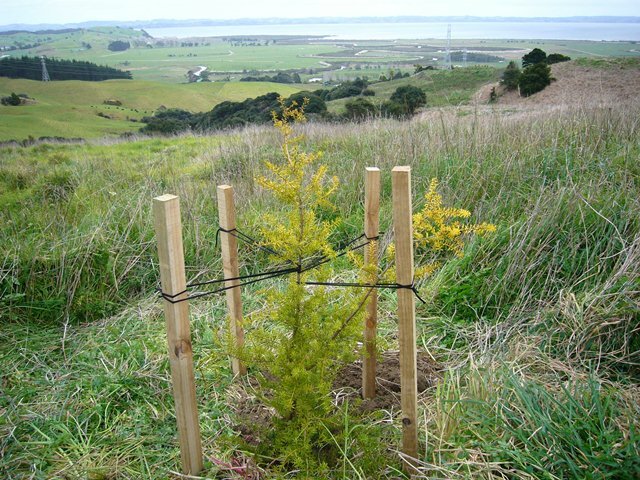 A Golden Totara was planted by the main track near the top of the property, an area frequently explored by visitors to CUE Haven. Because of its distinctive golden colour, the tree will also be visible from many parts of the property as it grows into a majestic canopy tree. Honda NZ has provided a plaque which will be permanently installed in front of the tree to identify it and to commemorate the occasion. We are honoured to have this commemorative tree at CUE Haven and we want to thank Graeme, Lucy and Fran for organising this special event. And thanks as well to Courtney Gallen and Liana Middeldorp of the Auckland Council and Jake Morgan from Noodle Creative Marketing for joining in the celebrations. We look forward to welcoming you all back to celebrate Honda’s planting of the 1 millionth tree!